I am trying to go back and get some of these other patterns finished just so all of you ( in the group) and on here have a sort of visual of what they could look like done. Of course you do not have to use the same filling stitches as me or even the same cord. This is just an idea for you to expand upon. 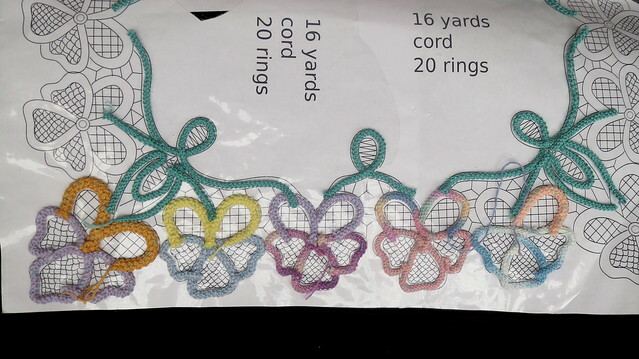 I am using scrapes from other projects as pansies come in all kinds of colors and sizes. So I am also mixing up the size of the cords because of the scraps and hope it does not distract from the piece too much but adds to it. I plan on this being a center piece on a dinning table (well that is my thought for now) at Easter or Mother's day so I think the colors will go well with those holidays.